Earlier this month, the IMD warned of “heavy to very heavy rains” at isolated places, Delhi and its neighbouring areas being a part of the forecast, in the country. 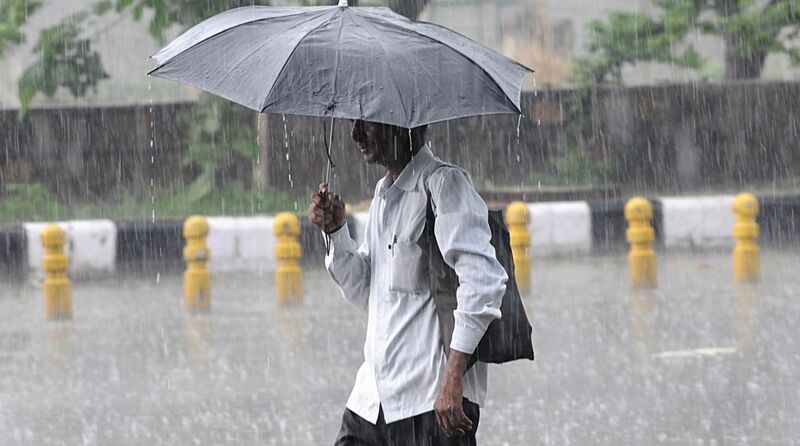 Heavy showers soaked Delhi and National Capital Region (NCR) on Wednesday even as the minimum temperature dipped to 28 degrees Celsius, which is slightly above the season’s average as per the weather department. While a precursory cloudy morning indicated rainfall, the showers started around 9.30 am, bringing relief from humidity, which was recorded at 88 per cent at 8.30 am Wednesday. The maximum temperature is expected to hover around 34 degrees Celsius during the day. Tuesday’s maximum temperature was recorded at 36.7 degrees Celsius, two notches above the season’s average, while the minimum temperature was recorded at 28.2 degrees Celsius. Meanwhile, heavy rain caused traffic snarls, particularly hitting the traffic going towards and coming from Noida.